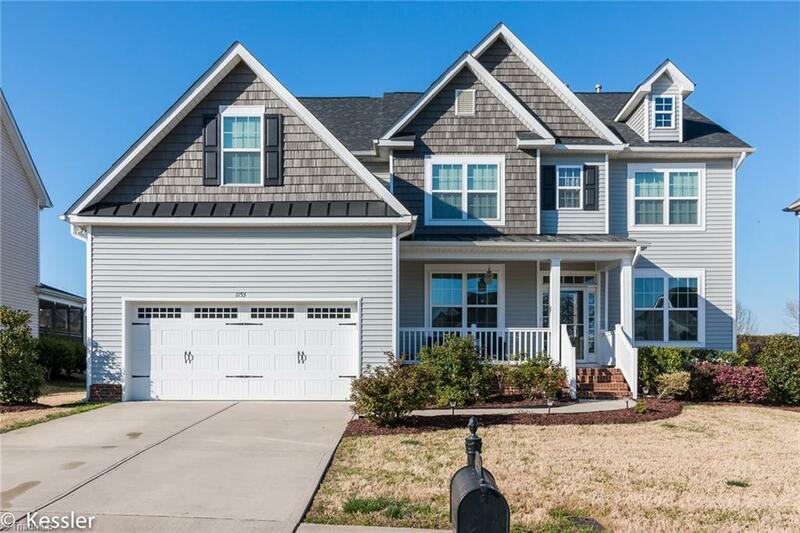 Welcome to this elegant home with 5 bedrooms with bonus room, 4 full baths, sunroom. Lots of upgrades: 1st or 2nd floor laundry, Ethernet & coax, ceiling fans in bedrooms, family room and bonus room. Ceramic tile in all baths. Granite in kitchen and Master bath. Guest suite on main. 7.1 surround in the family room. This open floor plan features a large eat-in kitchen, formal dining room with coffered ceiling, fireplace w/gas logs, granite counter tops, engineered wood flooring. Seller is a licensed agent.